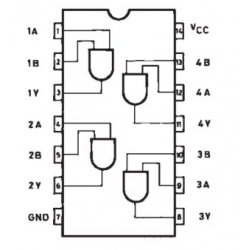 74HCT08 is a high speed CMOS QUAD 2-INPUT AND GATE fabricated in silicon gate C2MOStechnology. This chip has the same highspeed performance of LSTTL combined with true CMOS low power consumption. The internal circuit is composed of 2 stages including buffer output, which gives high noise immunity and stable output. All inputs are equipped with protection circuits against static discharge and transient excess voltage. 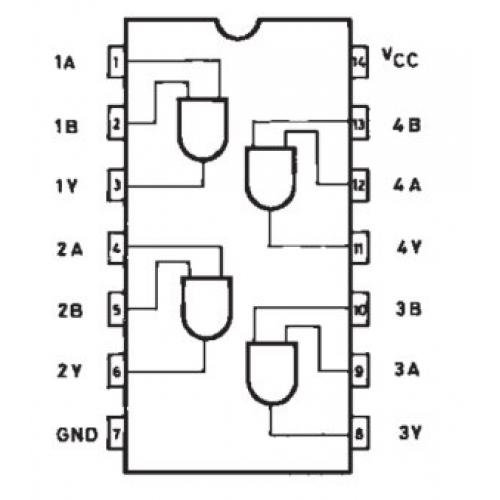 This integrated circuit has input and output characteristics that are fully compatible with 54/74 LSTTL logic families.